Garrett Jay, Money Coach, NBC Nightly News soon! teaches money lessons to kids, teens, college students, adults. Offer DVD Money Lessons, School Assemblies and Lesson Plans. - Intro to Money AND "Goodbye Money"
Plus, save an additional $4.95 on shipping (pay $4.95 instead of $9.90 if bought separately). 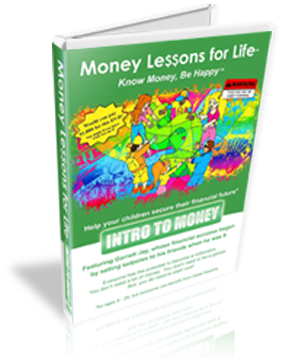 This innovative financial literacy DVD is packed with money lessons, real life situations, money terms and money tips. Over 60 minutes of money lessons are divided into episodes that you can watch one at a time or take a break at the midpoint. A bonus insert includes Money Activities and a powerful example of what can happen when you start saving early. Very short sneak preview clip - Keith answers the question, "What mistakes have you made with your money?". More preview clips coming soon. Episode 1 What is Money & Why Do We Need It? Episode 4 What Can You Do With Money? Episode 6 What Determines Value? Episode 8 Let's Review: What Do You Remember? 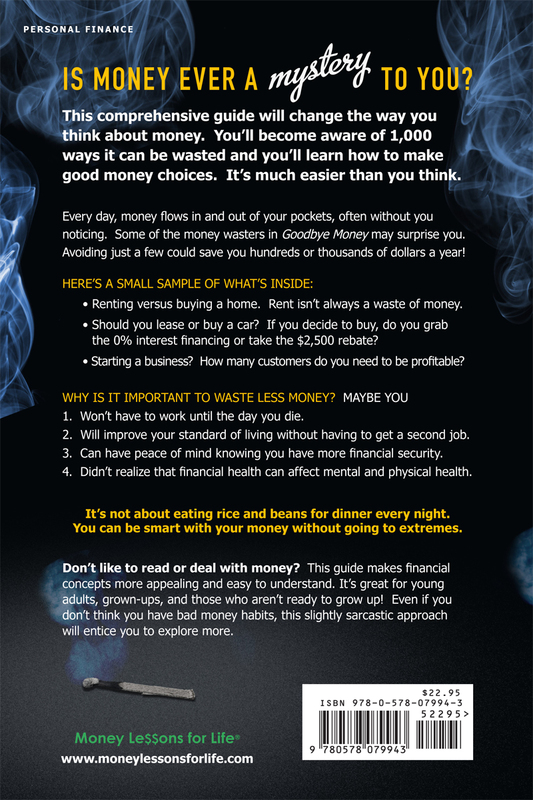 As a Money Coach for the New Economy, Garrett Jay has created a sarcastic, yet comprehensive personal finance guide that's practical, timely, and easy to read. Everyday money decisions can be mysterious, intimidating, and stressful. From cradle to grave, this guide sheds light on literally over 1,000 ways that money slips out of your pocket, often without you noticing. It's way more than clipping coupons and turning off the lights when you leave a room. The majority of the money wasting ways found in Goodbye Money can each cost you hundreds or thousands of dollars. Avoiding just a few of them can really fill your wallet with extra cash by learning about money mistakes before you make them. This guide is great for college students, grown-ups and those who aren't ready to grow up! It will help you become more aware of your money and will provide you with easy-to-use analytical tools so you can make your own financial decisions. You'll feel empowered and no longer need to rely on people who might be inexperienced or biased because they're motivated by commissions. Most importantly, once you develop good money habits, they become easier to maintain. Real life financial solutions are provided without the fluff. There's a lot of financial information and advice out there, but most of it is either high level or purely motivational. 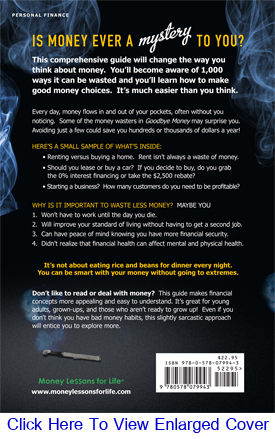 Goodbye Money gets down to business and makes even complicated financial concepts easy to understand and remember. Yes, you can create a financially successful life. It's not as hard as you think. Currently viewing: Garrett Jay, Money Coach, NBC Nightly News soon! teaches money lessons to kids, teens, college students, adults. Offer DVD Money Lessons, School Assemblies and Lesson Plans. - Intro to Money AND "Goodbye Money"